It's been a rough day so far for Ike the dog - but with a little help, things are already looking up. 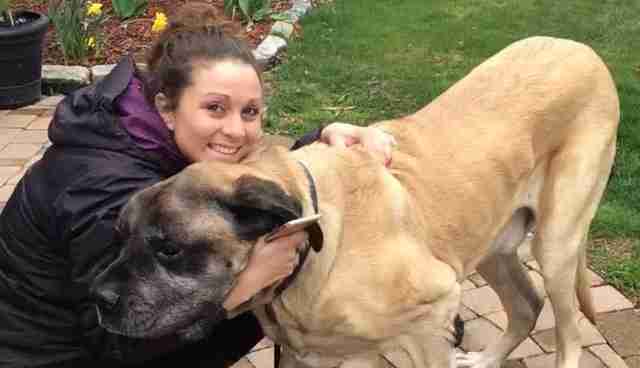 This morning, the 200-pound mastiff got himself in a rather unusual predicament, one that served to call even more attention to his massive frame. 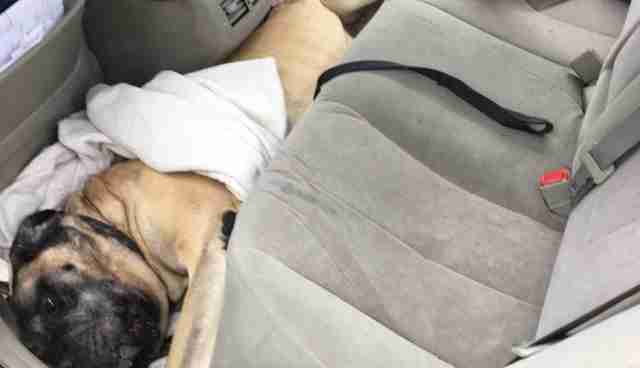 While out for a drive with his owner, Ike slipped and became stuck, wedged on the floor between the car's rear seat and middle console. It was sort of sad (and, OK, maybe a little funny, too). 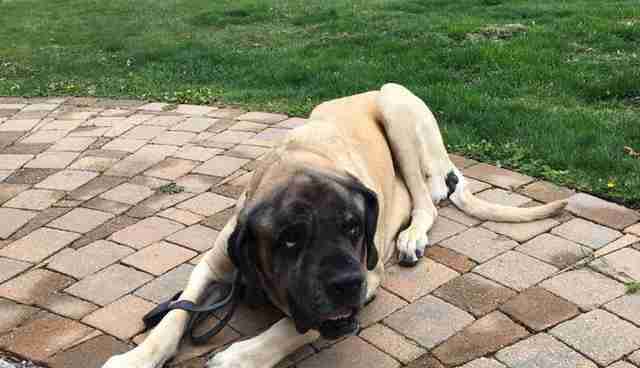 Evidently Ike's owner wasn't able to free him on her own, so she dialed emergency services. Even though it must have sounded an awful lot like a prank call, given the circumstances and all, first responders still came out to assist. Sure enough, with the help from Rhode Island's Tiverton Fire Department, Ike was ultimately uncorked from his tight spot. "We spent 10 or 15 minutes coming up with a plan, then we made a sling out of some towels that were in the car," Captain Craig Committo told The Dodo. "We lifted him out, but there was nothing easy about it, since he weighs so much. We got him on the ground without so much as a yelp. He was fine. It was a good ending." "Can we trade in for something with a little more leg room," perhaps?